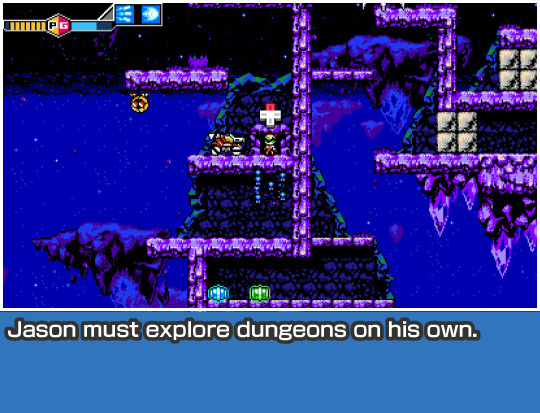 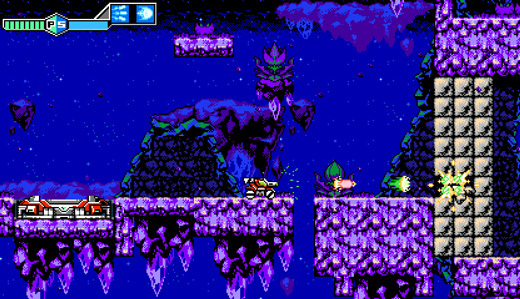 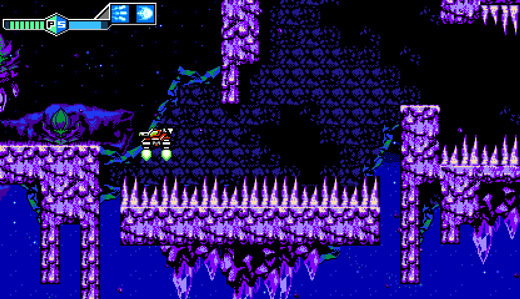 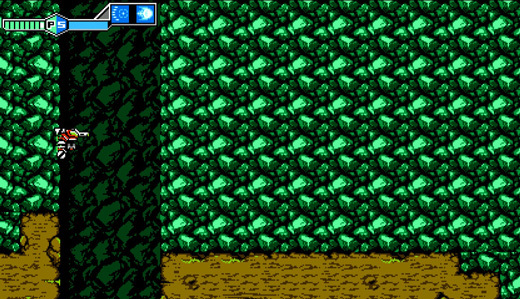 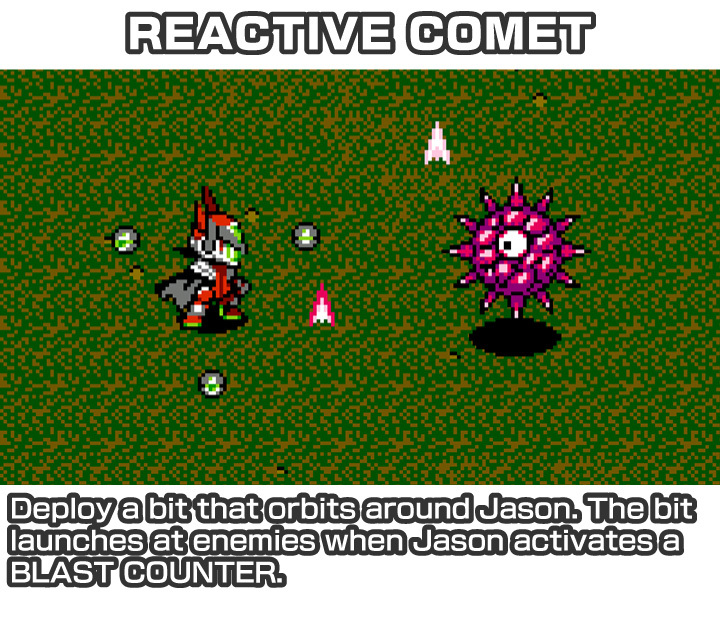 You'll control the game's protagonist Jason as he pilots the tank G-SOPHIA and explores a variety of planets.However, Jason must enter the dungeons he finds on these planets alone! 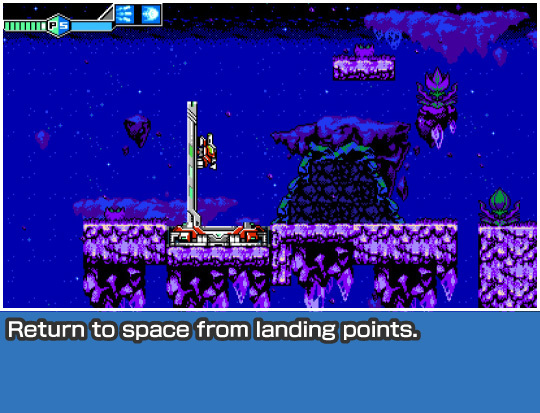 To successfully travel through space, you'll need to get "access keys" from boss mutants in order to open dimensional tunnels. 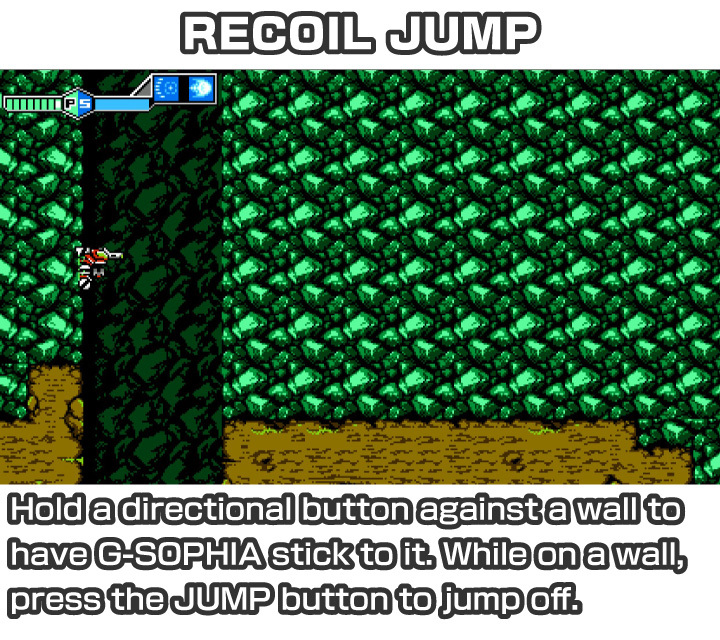 When you find one, head back to the landing point to blast off into space and go through the tunnel! 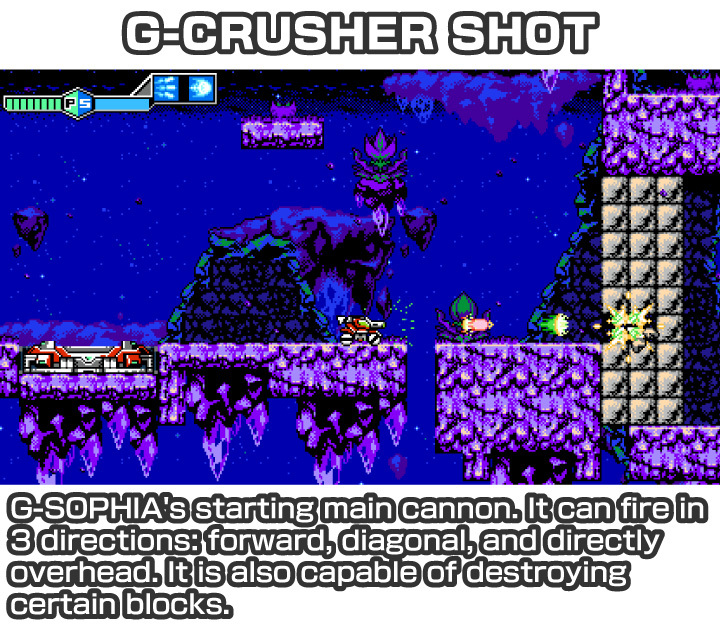 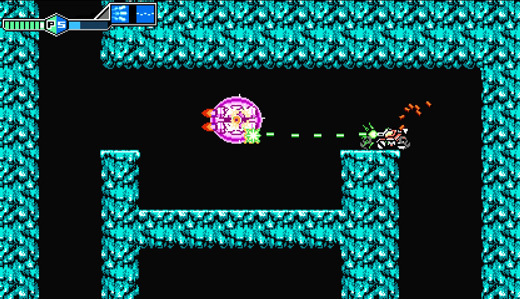 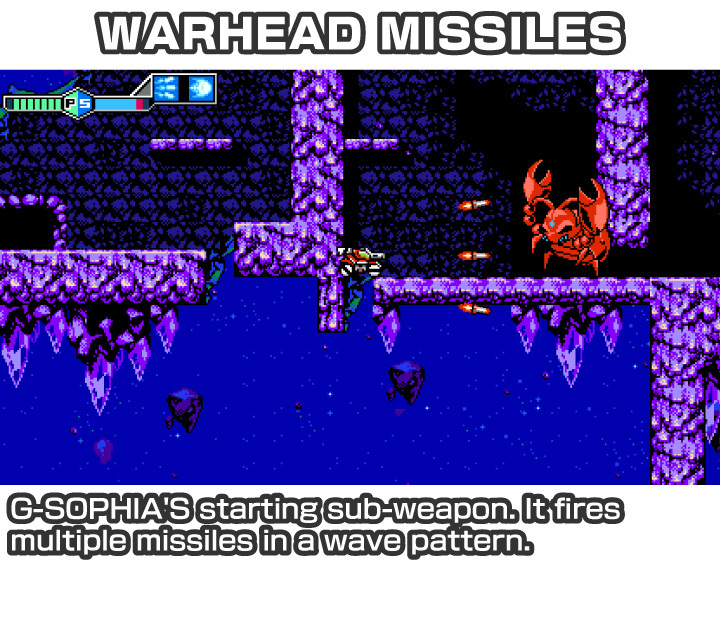 G-SOPHIA comes equipped with a multi-directional cannon and a variety of sub-weapons, which serve as your most efficient means of mutant blasting. 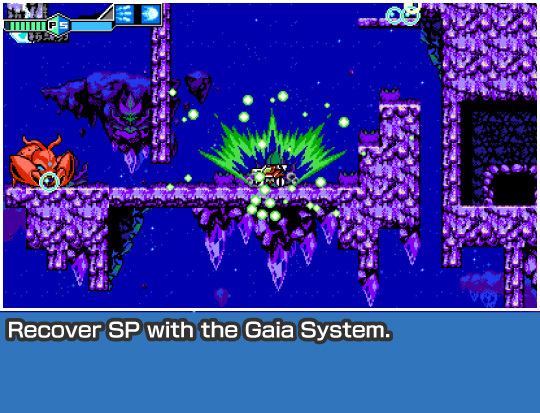 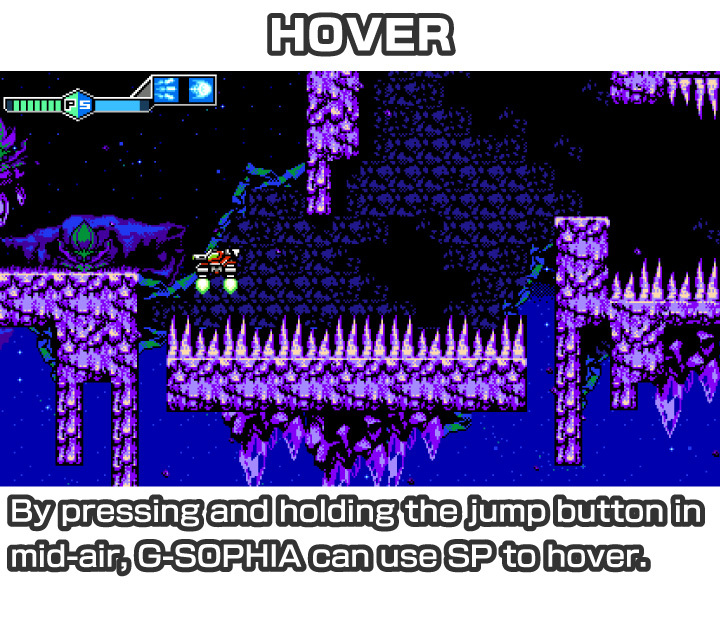 While hovering and firing sub-weapons will use up your supply of SP, with G-SOPHIA's Gaia System, you can recharge your energy by falling from a high place or taking damage from attacks. 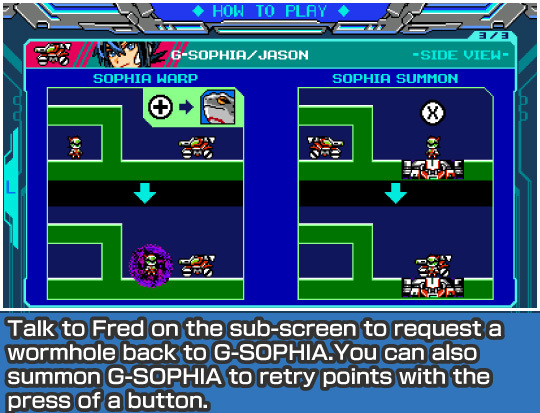 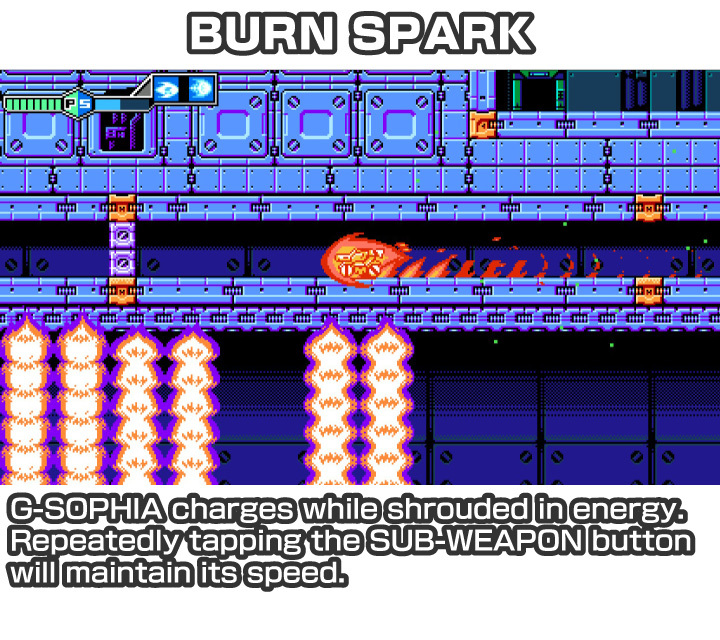 You'll also encounter power-up items to increase G-SOPHIA's mobility and firepower! 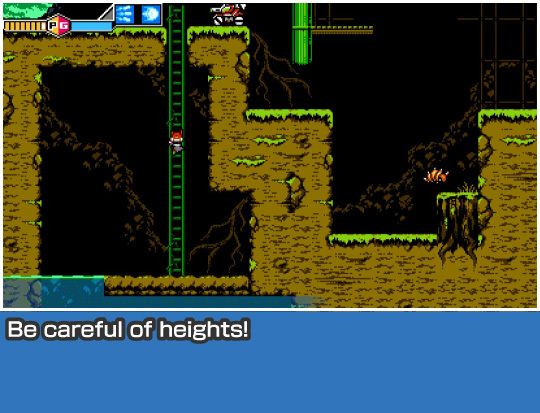 Jason will have to disembark and go it alone to enter dungeons or traverse narrow passages, In side-scrolling view, Jason has low offense and defense and won't survive a big fall, so be careful! 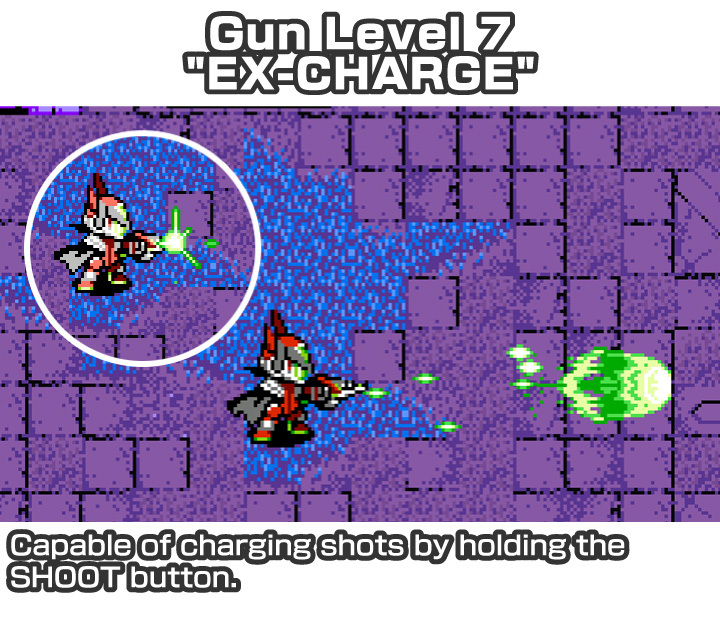 As you collect energy for Jason's G-Rifle, you'll gain access to a variety of Gun Levels, each with its own properties and projectiles. 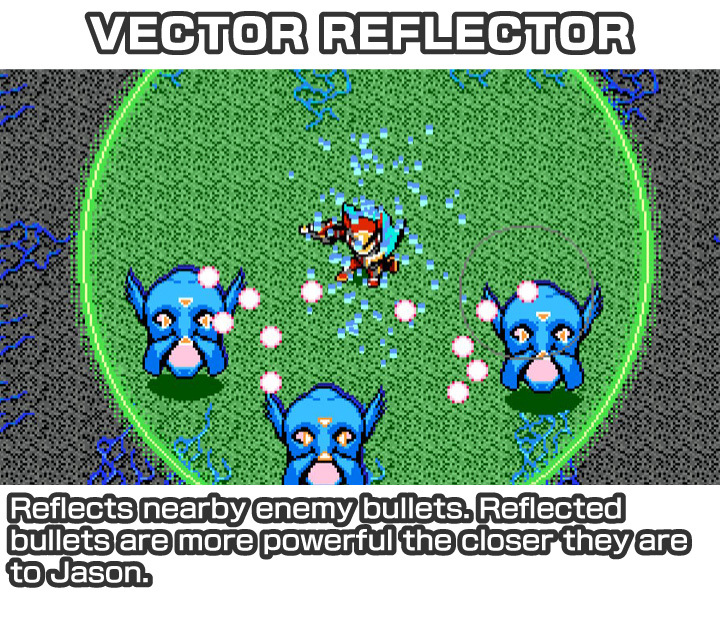 However, when Jason takes damage, you'll lose one Gun Level. 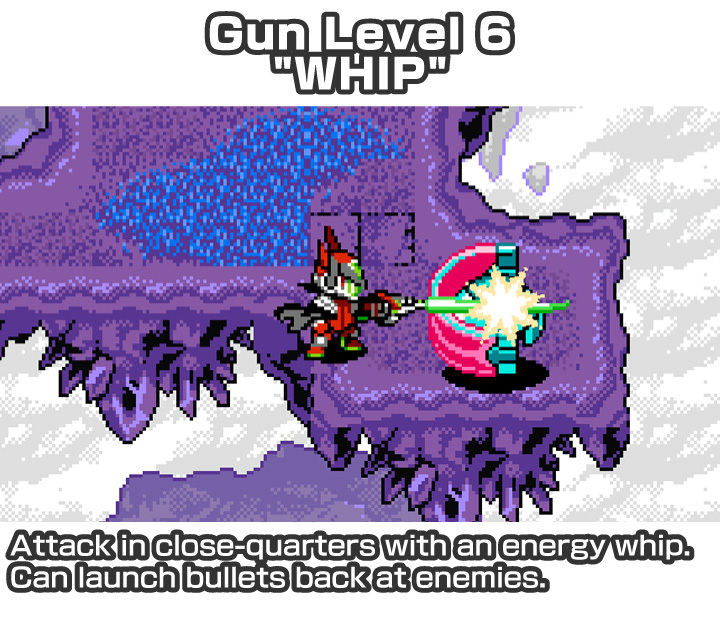 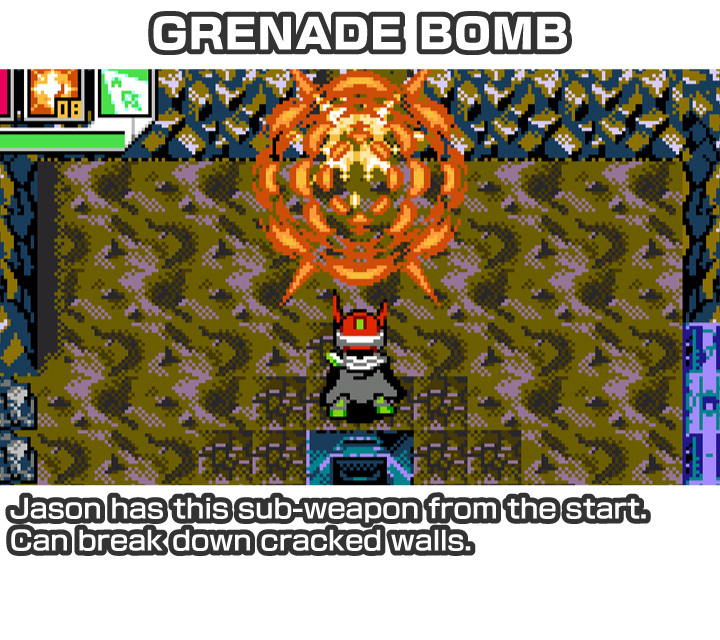 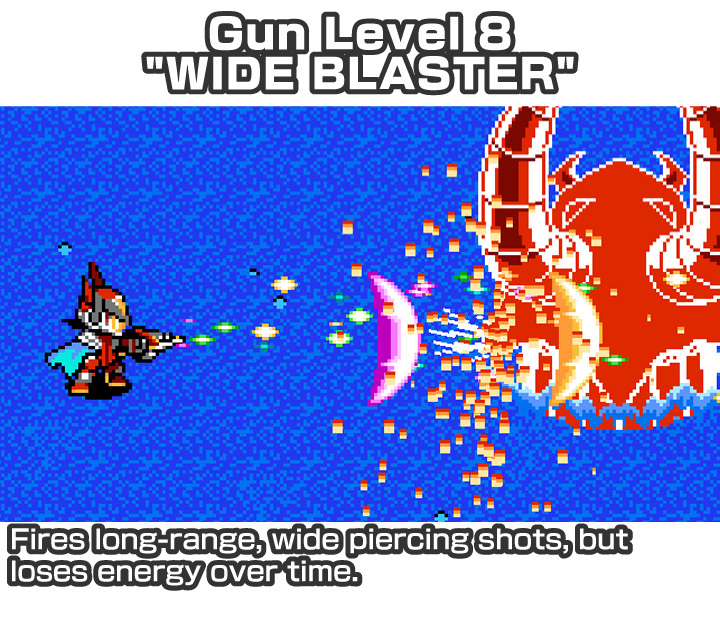 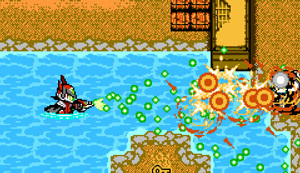 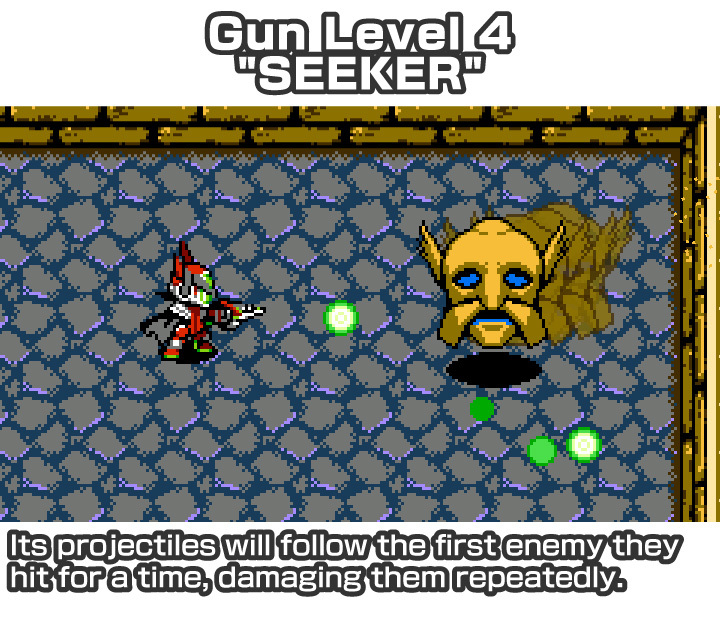 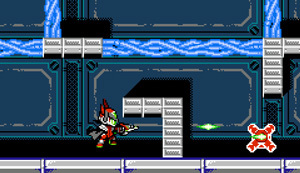 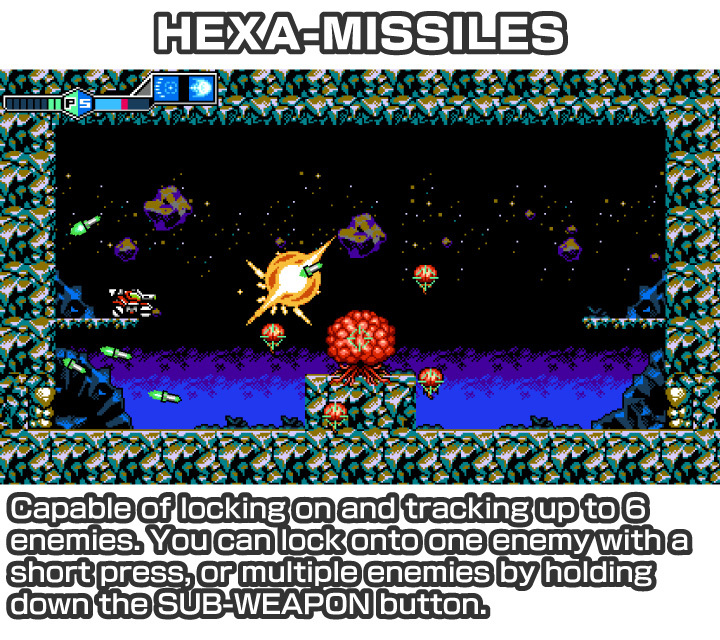 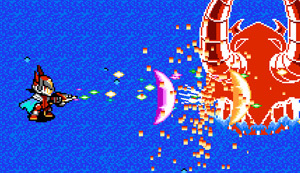 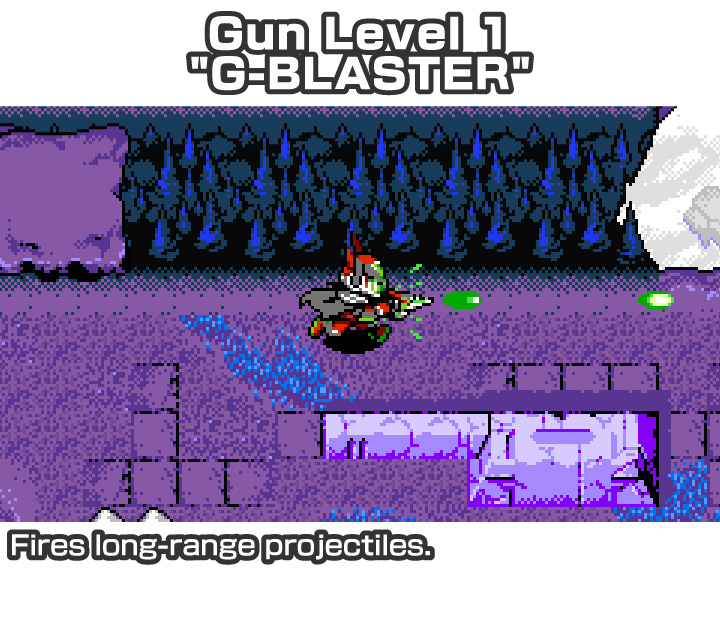 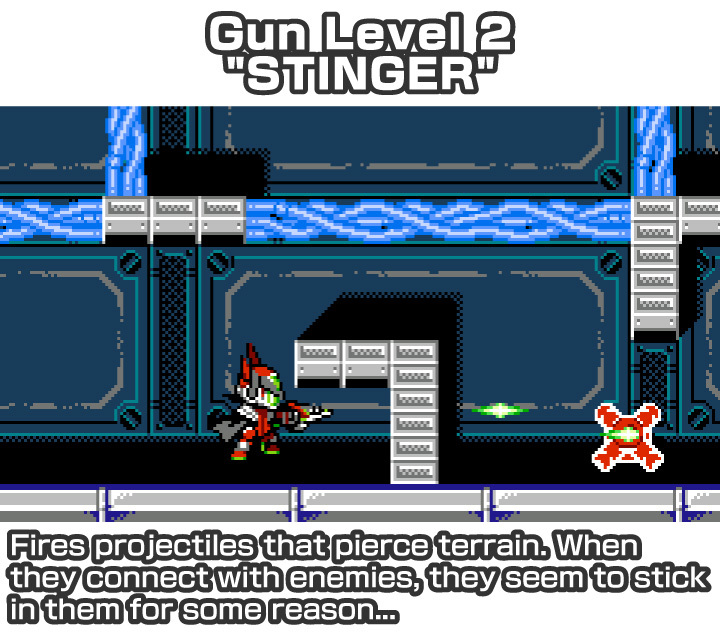 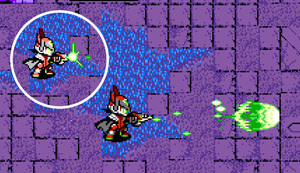 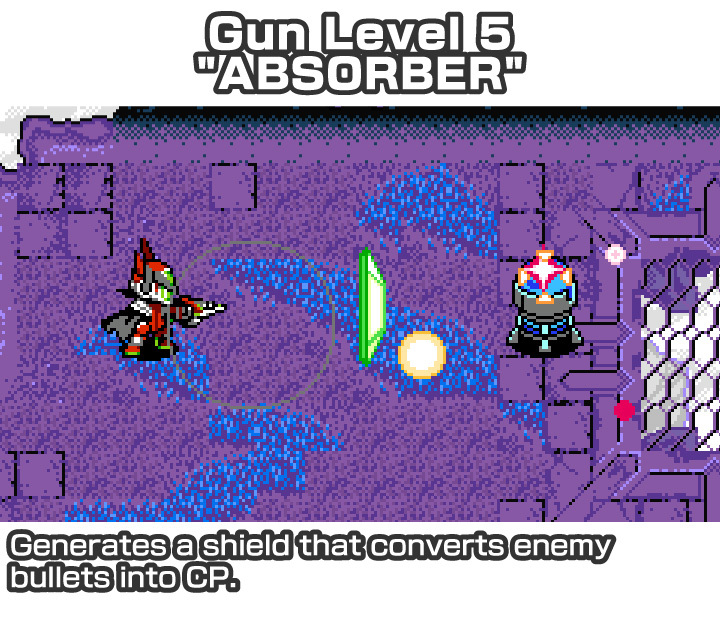 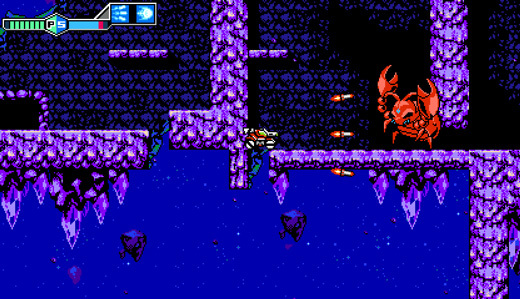 Gun Level 8 "WIDE BLASTER"
Sub-weapons come in many varieties, including traps, boosts, and defensive types. 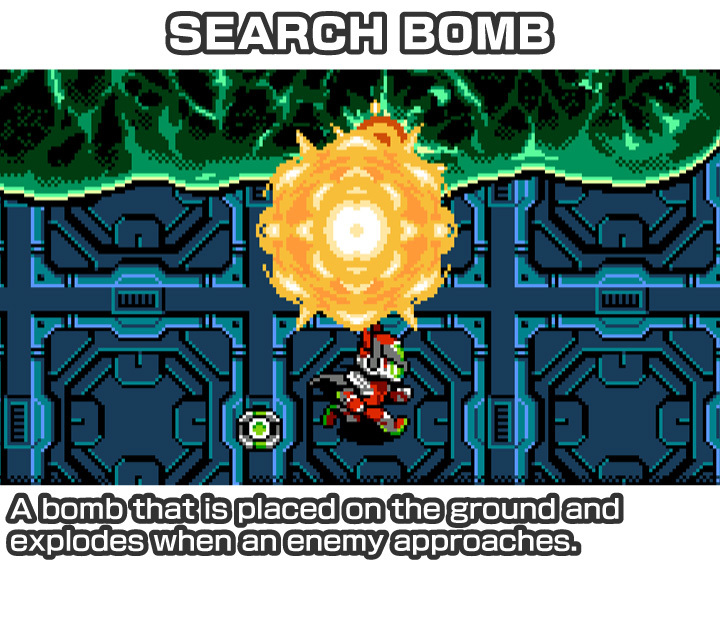 You'll find them in main stages and on planetoids. 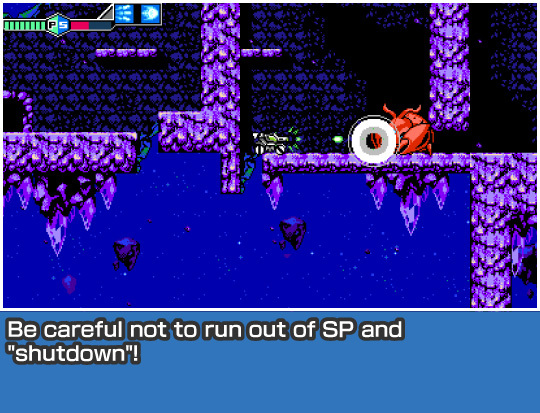 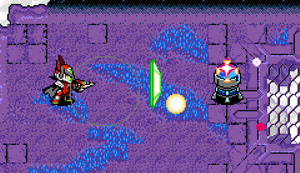 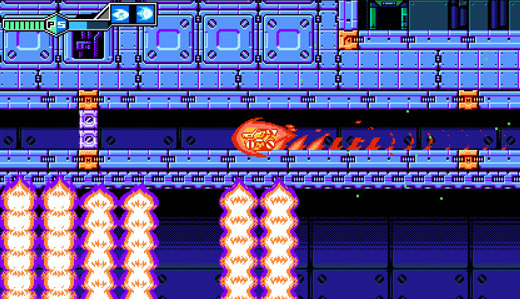 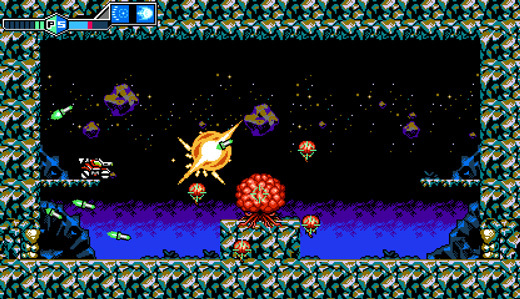 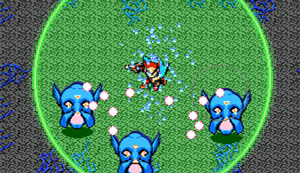 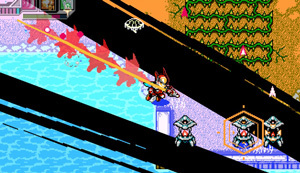 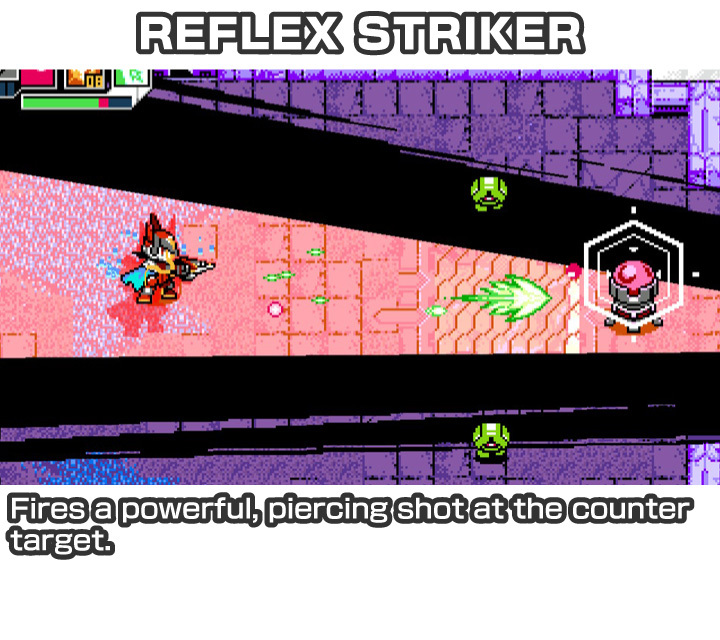 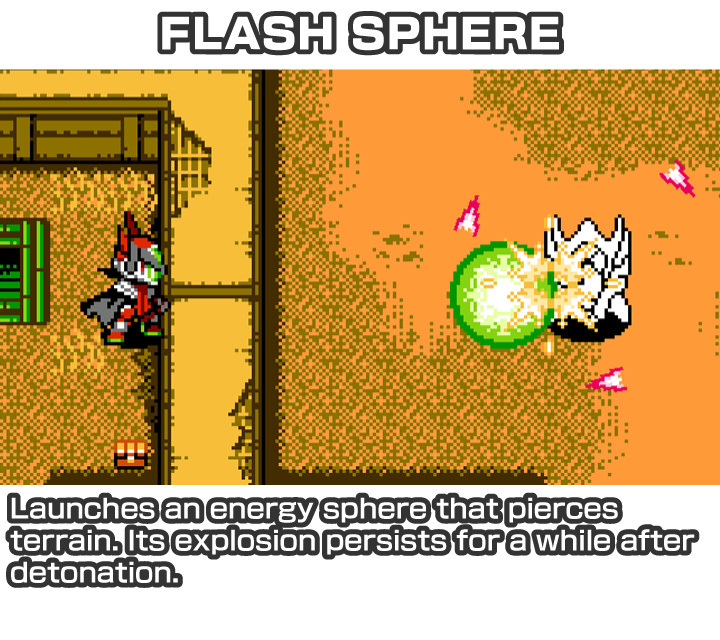 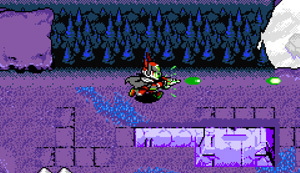 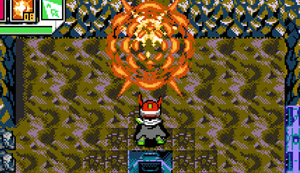 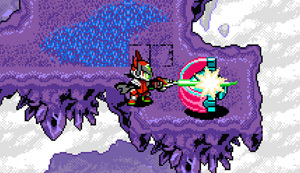 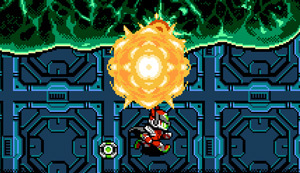 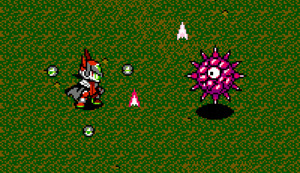 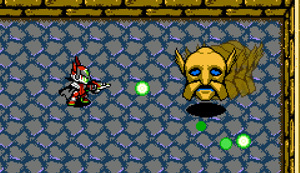 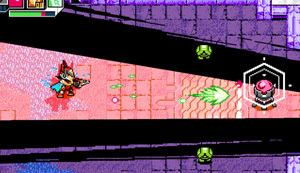 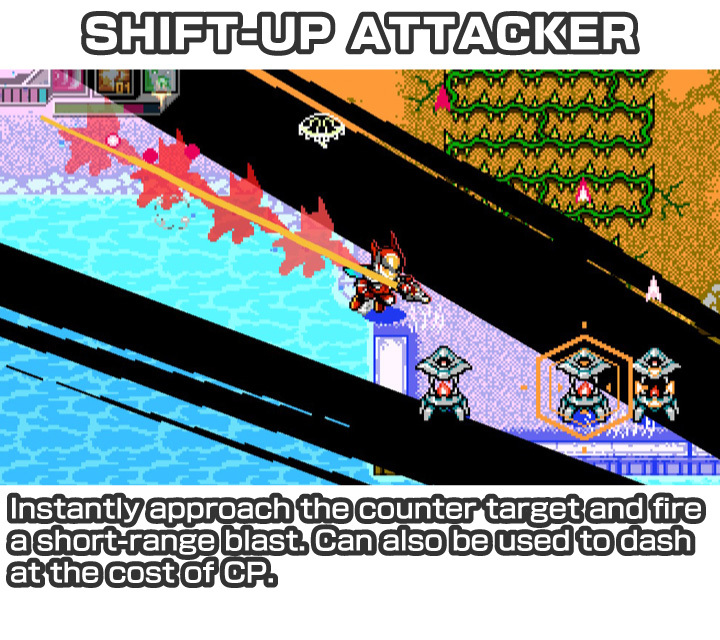 Press the COUNTER button when a cursor displays over an enemy to spend CP and activate a BLAST COUNTER.